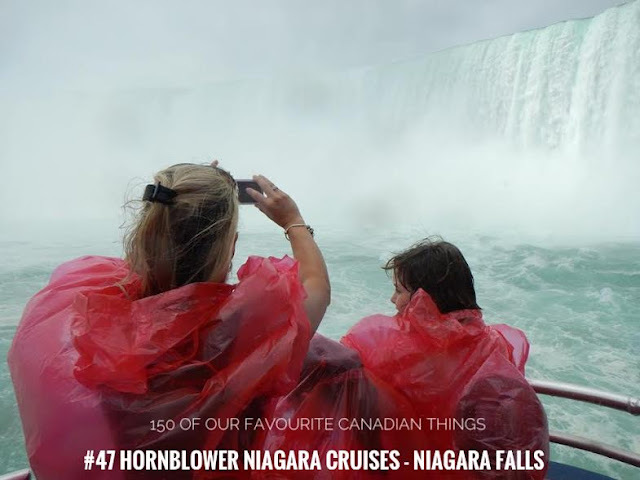 This up close and personal tour of the falls get you as close as possible to the breathtaking power and mist, what a thrilling way to experience Niagara Falls. There are 3 different types of cruises that take you into the heart of Horseshoe Falls. The day-time and evening cruise is a legendary 20 minute tour or you can watch the Falls light up on the night-time illumination tour. The perks to this tour include an on-board licensed bar and an extended tour time to enjoy the illumination colours on the Falls. (Tip: In the Summer show up early for the Illumination cruise and enjoy the licensed patio with live entertainment, local craft beer, Niagara wines and delicious BBQ).